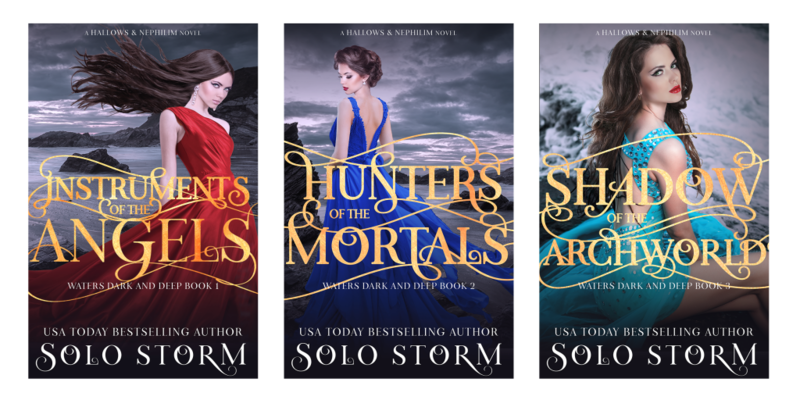 I’ve moved all of my fiction that was under Monica Leonelle to a new pen name called Solo Storm. Now I have two fiction pen names. Solo Storm writes primarily fantasy and science fiction. She also writes mostly clean, which to me means very little cursing and fade-to-black at the kissy kissy parts. My other pen name is steamy romance, though I haven’t published under it since 2015. Hoping to change that in early 2019! I’m expanding Monica Leonelle beyond the independent fiction author audience and didn’t want my fiction to clutter up this space. 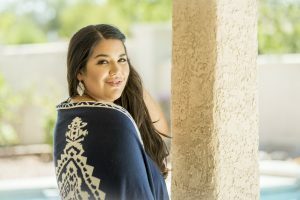 Monica Leonelle now writes only about books and online business topics, like copywriting, marketing, and building a creative business that makes money. In fact, I’ll likely be starting a fourth pen name next year for a different line of nonfiction on a different topic. That’s how important pen names are! I’m expanding my fiction as well and have several more novels coming out this year, in addition to what I’ve already published. I didn’t want to share my New Release calendar with so many Monica Leonelle releases or have my business people receiving notifications about fiction books. Talk about misalignment! The actual Also Boughts on my fiction were a bit jacked up. Additionally, the covers needed a refresh and so did the story, based on the 4.2 star-rating for the reviews. I’m looking forward to a fresh start with the algorithm! Since I had to relaunch my current fiction books under the new name, I figured why not make the changes I’ve been contemplating for a year? So I did cover rebranding and rewrites based on the feedback I received. I also published two outside-the-main-series prequel novellas that I wrote last year as part of boxed sets. One, The Last Daughter, hit the USA Today bestseller list in the Magic After Dark boxed set. I remember that time—I was struggling to hit deadlines and wrote this 32k book in a rush. However, I read it back just a few days ago and really loved it… I think fans of the series will too! The other, Long Live the Bloodline, is about 12k and takes place over 100 years ago during the last big war. Both of the new books have new covers that I really love, too! My website is not up yet but for now, you can Amazon search the pen name to see what I’m up to! Please don’t buy the books unless you’re a reader of the genre. I’m trying to do Amazon’s algorithms well this time. Also, funny story. I tried making a new profile pen name and Facebook doesn’t think “Storm” is an appropriate last name. Storm is an *actual* last name. Facebook also rejected “Storman” and “Stormo,” which are also actual last names. So if you read fantasy you can currently find me on FB as Solo Storrn. Yes, do a double-take, because you missed what I did there. And yes the “Solo” part was the name that was accepted. I suppose I should be happy at least something was. Solo Storm is wide on all retailers, but she will also be a testing ground for something else I’m curious and excited about. Earlier this year, I spoke at the Sell More Books Show Summit about something I’m calling The Novelists’ Dilemma. Unwillingness to ask the question, what would a reader pay me $100, $300, or $500 for? Solo Storm will be a testing ground for building a backend of products and services for fiction. I don’t have a ton of expectations around this experiment, but feel free to follow along if this topic interests you. I’ll be blogging and vlogging about it much more as I roll out my series launch through the rest of 2018! 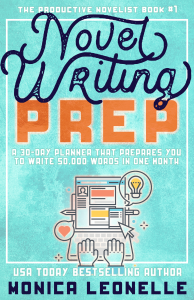 Check Out My New Book, Novel Writing Prep! 50,000+ words in 30 days—impossible, right? Or if it is possible, those words must be total crap—right? And even if there is some semblance of writing talent in the draft, writing that fast means the plot and characters must make no sense… right? Yes, you can write 50,000 good words on your novel in as little as a month, as long as you prepare yourself. Monica Leonelle is a USA Today bestseller and the founder of The World Needs Your Book. Hi! I'm here to help you outline smarter, write faster, edit quicker, publish simpler, market bigger, and build the business of your dreams around your big story, message, or idea. This is where I share what I learn from personal experience. © Copyright The World Needs Your Book 2019. Theme by Bluchic.